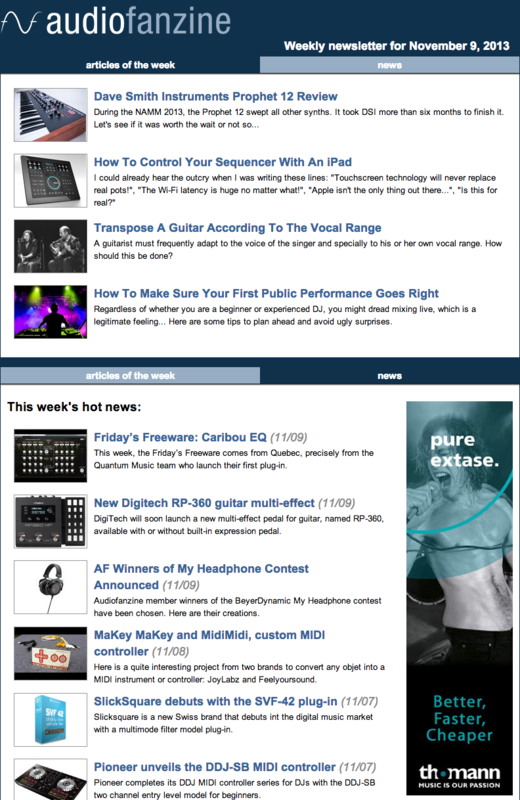 Reach active readers with your own private banner within our clean, user-friendly newsletter. Associate your brand with ours to improve your branding and visibility. * Figures dated June 1st, 2016. Size of banner is 160×600 pixels and size should not be bigger than 50 KB. Format should be JPEG, PNG or GIF. Geographic targeting can be applied (US and Europe only). Audiofanzine in english : 4 consecutive weeks for 450 € or 600 USD. 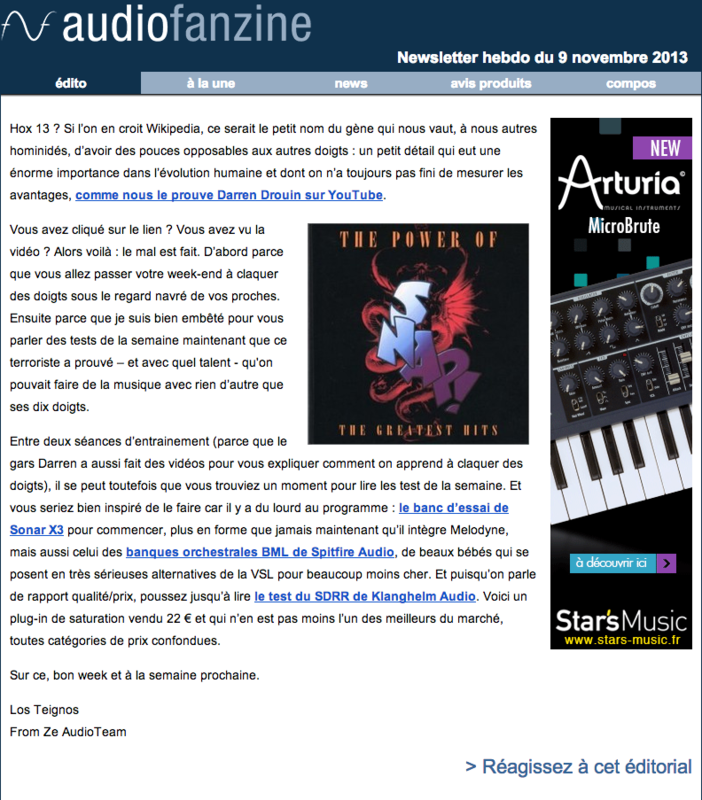 Audiofanzine in french : 1 week for 900 € or 1,350 USD. Discounts are available if you book more weeks per year. Join our mailing list to receive up-to-date music industry news, trends, survey results and offers that will benefit your brand!